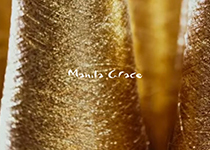 Manila Grace belongs to Antress Industry Spa, an Italian group that has been operating in the fashion sector since 1989, promoting a style world where the clothing does not overpower the wearer, but brings their personality into focus, serving their everydayness and offering them comfort and effortless elegance. Tailor-made Italian fashion. The company, which produces and distributes both nationally and internationally, has its main offices in Carpi and Milan, with over 150 employees and a distribution network comprising more than 40 flagship stores and a thousand multi-brand sales outlets in Italy and abroad. Birth of Manila Grace Brand. Start of Retail Italia Project: opening of the first Single-brand store. Launch of the first iconic product: the “Foulard” scarf. Merger with Antress Industry Spa. Start of Retail Outside Italy Project: opening of the first Single-brand store. 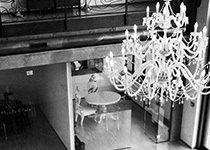 Manila Grace celebrates 10 years of business with an exclusive party during the MFW. Manila Grace Girl collection and Bags collection launch. Launch of the “Must-Have” item Felicia Bag.